BINOM334i is a certified multifunction device that can be used as an independent bay controller as well as a component of Utility Metering Information and Measurement Systems, Power Quality Monitoring and Control Systems, Information Acquisition and Transmission Systems, Process Control Systems (PCS) at the power substations of all voltage ratings, power stations, power utilities of the manufacturing facilities, and power supply services of public transport. At www.binom3.com, online access is available to model BINOM337U3.220I3.5S16T2 of the meter installed at the 0.4 kV power switchboard input lines of our company’s development department. 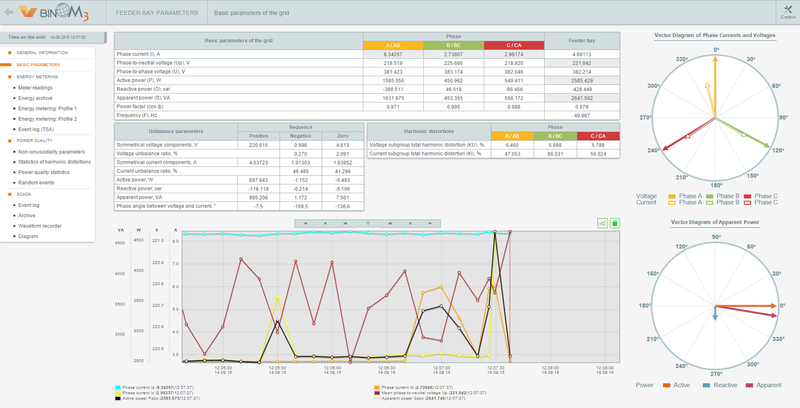 By registering on this site, you can access built-in Web-server of the meter and review its features. High-accuracy measurement of the instantaneous values ​​of electrical parameters with the sample period of 31.25 μs, high-speed computation of the derived parameters and RMS values within the preset time intervals of 10 ms and 200 ms. This meter is a measuring instrument in compliance with IEC 62052-11:2003. 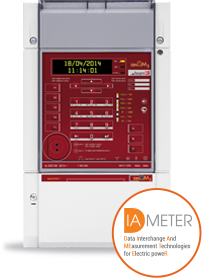 Active energy metering with accuracy class 0,2 according to IEC 62053-22:2003. 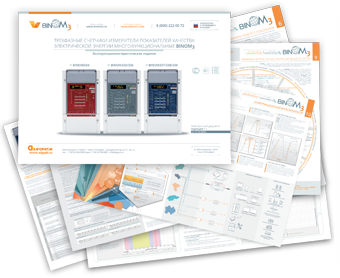 Reactive energy metering with accuracy class 0.5 according to methods of IEC 62053-22:2003, energy loss metering. Time of Use metering in 4 tariff rates, outside tariff rates and also in summary form. 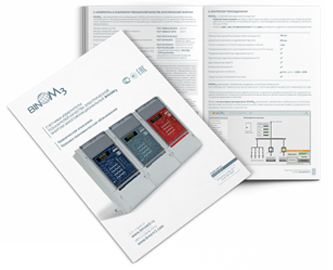 Power quality metering with class A according to IEC 61000-4-7:2009, class I according to IEC 61000-4-30:2008. Data archiving on the built-in MicroSD memory card or FTP-store. 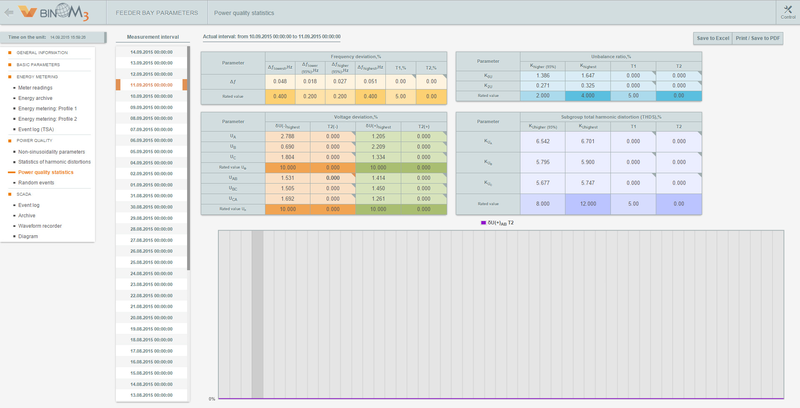 Ready-for-Use statistic report (Power Test Report). Measurement and diagnostic data are presented on the built-in Web-server in the form of tables, graphs, histograms, and logs. Support of the PPP connection (TCP/IP) over IEC 60870-5-101 protocol via RS-485 interface backbone to access all device data without interrupting data transmission over the communication channel. = 35-350 V, class DCx.